Aloha Tuesday! Is that a saying? I think I will say it anyway. I have been wanting so much to blog more about my class this year, and it just hasn't happened. I am so busy planning and teaching, I never seem to find time to reflect and take pictures! 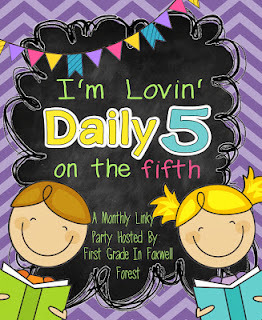 Well today I am linking up with First Grade in Foxwell Forest for her I'm Lovin' Daily 5 on the 5th. Today was my first formal observation of the year. My district uses the Charlotte Danielson framework and we are now observed twice a year. We pick an objective and write up our plan for a pre-conference with admin. Then we schedule a day they come in and observe. Well I am loving how my Daily 5 has been going this year. My students have got it down and they love their rotations. I updated my rotation menu this year. After each session they color it in and know exactly where they can go or not go. Mondays are my whole group lesson days and we review the skill that we will be working on for the day. Click on the picture to grab this in Google Docs. This year I am also the inclusion class for 2nd grade Sped. Another reason that I haven't had the time to blog and record what has been happening. With so many abilities in my class this year and having another teacher working with me, I have been BUSY, BUSY, BUSY! The Sped teacher is with me from the start of class until lunch time. This however is her first year in second grade coming from Pre-K! So her learning curve has been huge. She was completely overwhelmed and at a loss, especially with me having so many things ready to roll. She has had to learn how to plan along with Daily 5 and meet the needs of her caseload. But now that she is able to meet with a few groups a day I am happy to say that we are meeting with each child every day!! 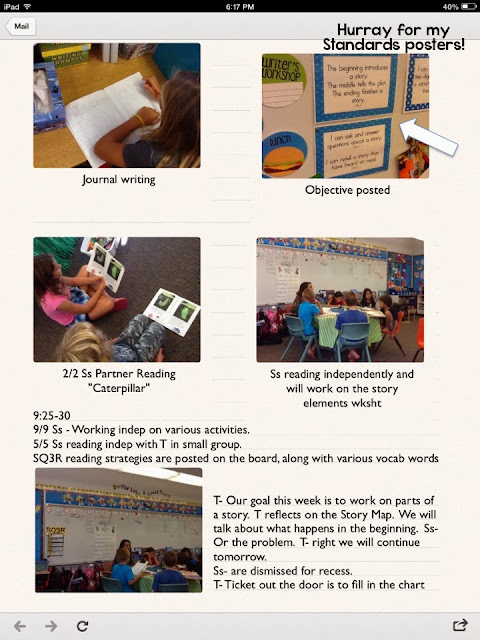 Daily 5 has created independent learners that are able to make choices on their own while I am able to differentiate and meet the needs of every single child in my class. So back to my observation. I had my principal come in at 9:00 which is midway through my 2nd rotation. She came in and recorded (wrote down) everything I did on her iPad. She also took lots of pictures. My focus was story elements with each of my groups. She stayed for half an hour and told me she would send me her notes and then we would meet to discuss how it went. I don't think I could have asked for a better time for her to come in. Everything went so smoothly and I know it's because of the Daily 5 structure. Before my principal left she commented on how cute all of the Word Work activities were and how much the kids loved them. Today was the first day I had put out my Totally Turkey centers so they couldn't wait to get their hands on them! 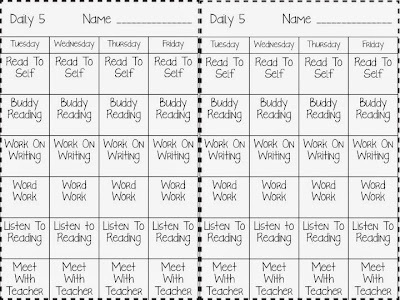 My goal now is to get my math time up and running with a Daily 5 model. Right now I have 3 rotations that are working well, but I would like to make it better. I will keep you posted on my progress. Aww, that's so great - those pictures and comments were fantastic - congratulations! It is always nice to hear you are doing the right thing! I am loving Daily 5 too, I actually had an peer observation today where another came in to see how it works - they were so impressed!